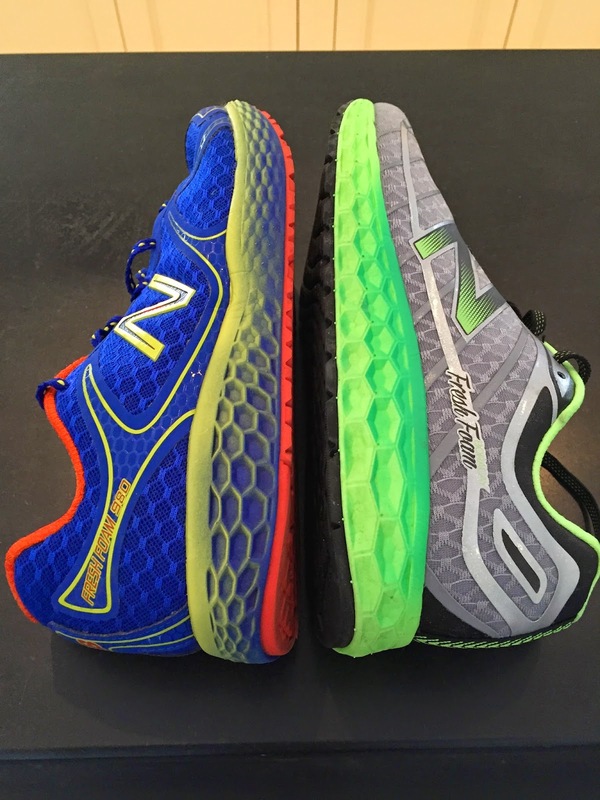 Road Trail Run: Review: New Balance Fresh Foam Boracay-2nd Generation Fresh Foam "Excellent Ride"
Review: New Balance Fresh Foam Boracay-2nd Generation Fresh Foam "Excellent Ride"
The New Balance Fresh Foam Boracay is a 9.1 oz 261gram M US9, 7.7 oz 216 gram W US 9 trainer. 4mm heel toe drop. Retail $120. Available now. Fresh Foam Boracay represents the second generation of New Balance Fresh Foam line and is the training cousin of the excellent Fresh Foam Zante racer/trainer reviewed here. The Fresh Foam Boracay has fundamentally the same midsole construction, foam firmness and last as the earlier Fresh Foam 980 I reviewed last year. I was told by NB that the midsole platform is a bit wider up front and I could feel the extra and welcome width. I found the original 980 to be quite stiff and firm not really matching the marketing message at the time of a plush cushioned ride. The Fresh Foam Boracay,due to a number of subtle changes, rides for me like a completely different shoe than the 980. Very smooth and quite responsive, no longer somewhat stiff and firm with a cramped feeling upfront. It has a a somewhat softer ride than the similar riding Pearl Izumi E:Motion line. 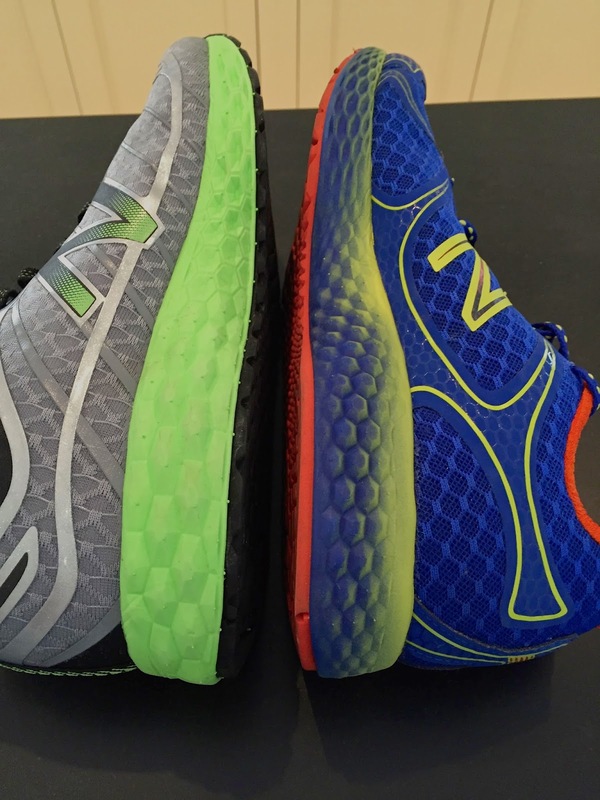 Taking a cue from the Fresh Foam 980 Trail, which I found had a superior ride on the road to the 980 (review here) New Balance used a similar elongated hexagon pattern for the outsole of the Boracay. The outsole is moderately firm with a harder segmented plug at the heel. 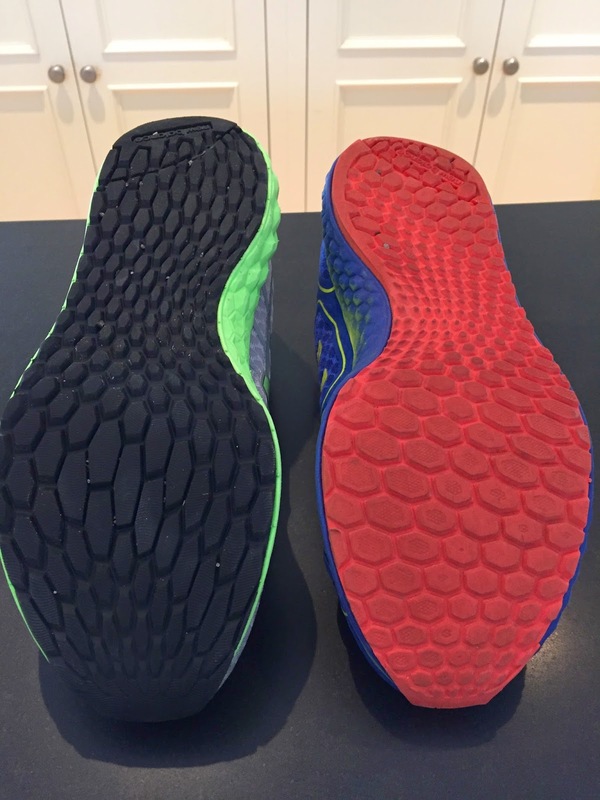 larger concave hexagons on the entire lateral side (outside of foot) to help cushion heel landing and provide flex up front. The 980 had convex hexagons near the front in my opinion contributing to the stiffness and difficulty in toeing off, they are now concave for a softer feel and more flex up front. then larger more elongated concave hexagons up front than the 980 for better flex. 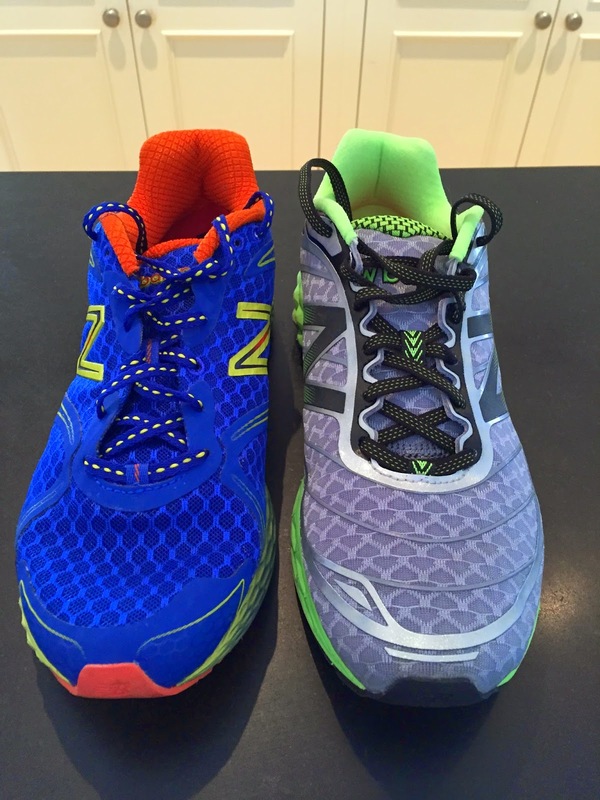 The actual upper material is about the same in the 2 shoes, maybe a bit more pliable and soft in the Boracay. The Fresh Foam Boracay upper is on the same last as the 980 but it sits on a slightly wider midsole platform. 2 overlays running from the last lace hole to the midsole are eliminated and replaced by 3 very thin "string like" overlays. The toe bumper overlay is also eliminated. The last section of the tongue by the last lace is slightly elastic a soft lycra like material also contributing to an easier flex of the shoe. Thus the entire upper flexes far more naturally than the 980 with the front of shoe entirely seamless. The tongue is still in my view overly puffy and thick, but comfortable. The overall look is sophisticated and clean. New Balance is positioning the Fresh Foam line of Fresh Foam Boracay, Fresh Foam Zante, and the trail Fresh Foam Hierro (fall 2015) as versatile, most cushioned, smoothest running with classy looks, even for... everyday wear I was told. See my reporting from Outdoor Retailer here for the segmentation of the 3 New Balance running lines: Fresh Foam, Vazee, and NBx. The catalog describes the Fresh Foam Boracay as "at the intersection of data driven science and trendsetting style, the Fresh Foam Boracay delivers a supremely smooth ride." I agree! Not sure why the first generation was not nearly as smooth and cushioned as the tweaks are quite minor, geometry of hexagons and a change to the upper with the positive result quite apparent to me. Maybe a bit to much science and not enough runner feel? A rush to market before final tuning? Who knows but they have got this shoe and the Zante very right now. Due to the changes in midsole hexagons, outsole, and upper up front I did not feel I was working against the upper, the midsole, and the outsole at toe off as I did in the 980. A very smooth, decently responsive, well cushioned daily trainer that is light enough at just over 9 oz to be in contention as my 2015 marathon shoe. I sized up half a size as I did in the 2nd pair of the original 980. I particularly like shoes where midsole and outsole feel as one with no "sharp edges" or abrupt changes in cushion, feel and transition through the stride, smooth. The Fresh Foam Boracay is smooth. The hexagon geometry and its adaptability to different types of feet and landings makes this a fine shoe for this neutral foot without a feeling that there are any support elements baked into the midsole. something I can not stand. Those with moderate support needs will likely also find it just fine for their needs as well. A very good update which is now worthy of its marketing messages, Excellent Ride. The Fresh Foam Boracay were provide to me at no charge for the purposes of this review. The opinions herein are entirely my own. You can pick up the New Balance Boracay from Running Warehouse Men's here Women's here or from REI at the links below. Your purchase will support my blog. Thanks! Thanks Sam. Just bought the 980. Thought the UA Gemini could be it, but just not enough upper support. The Zante was too narrow and too much forefoot strike.